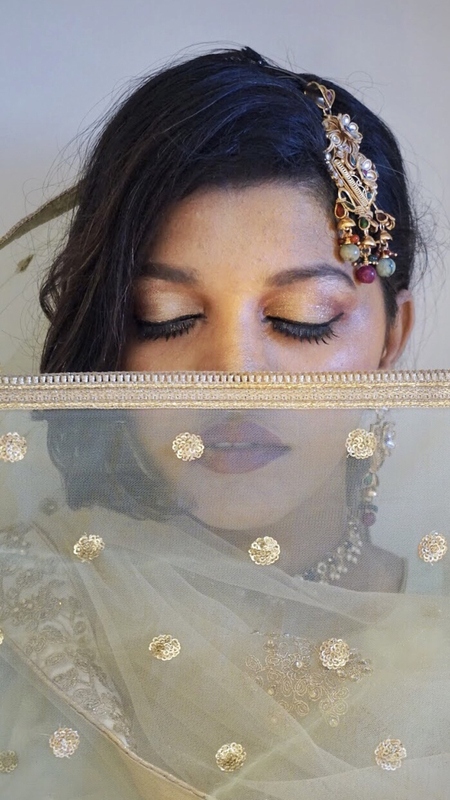 From entrancing bold eye makeup to heavy jewellery the dulhan is glamed up, read along to know. Uske liye toh khuda se bhi bagawat kar aaye hum. 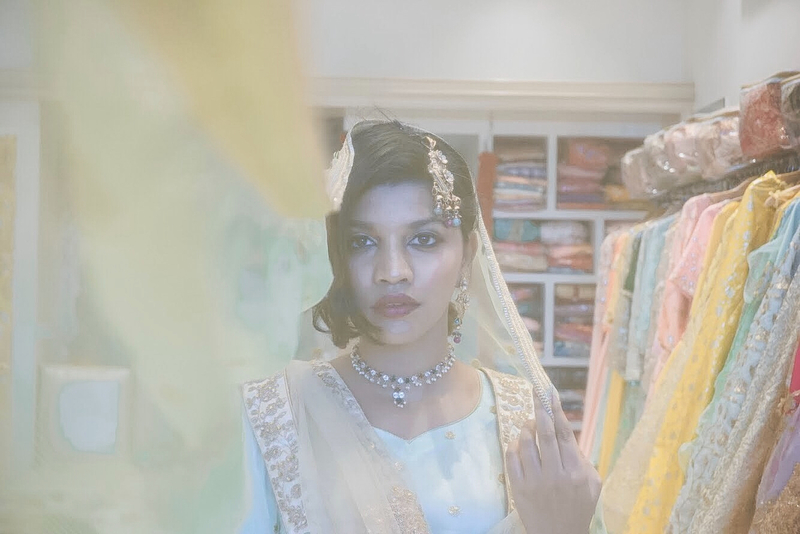 In my series of creating bridal looks wearing Rajkumari Fashions, this one gave me a huge creative liberty. 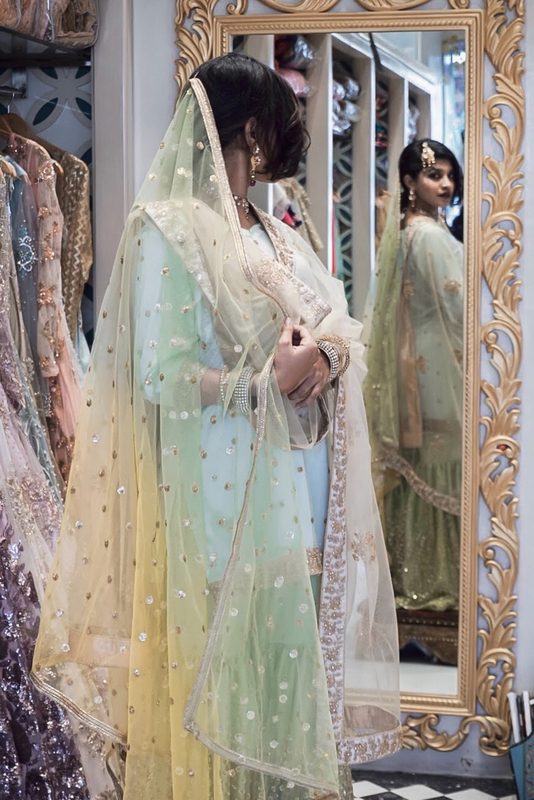 The colour is statement and traditional green with a hint of mint and gold. The green is pastel, softer and more graceful than one that hits the eye too loud. 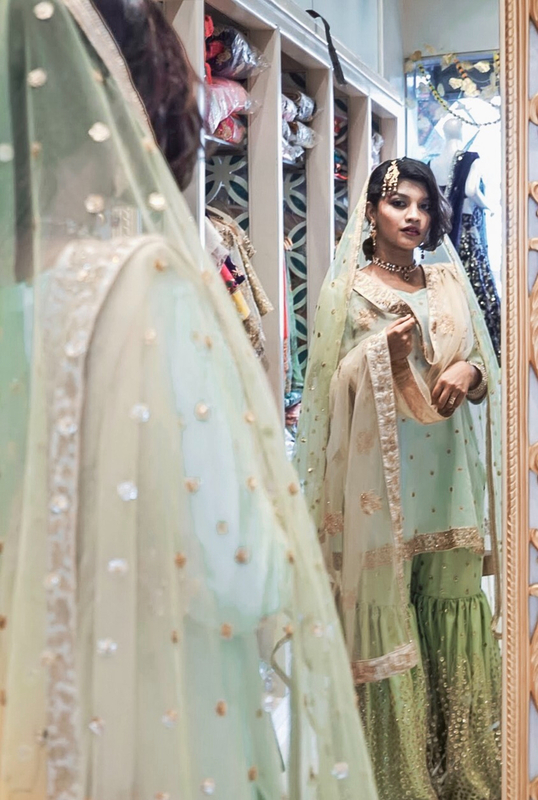 The Kurta has a small golden floral detailing which adds character to the look, at the same time, the salwar has a lot going on with clustered gold details and flaired bottom. 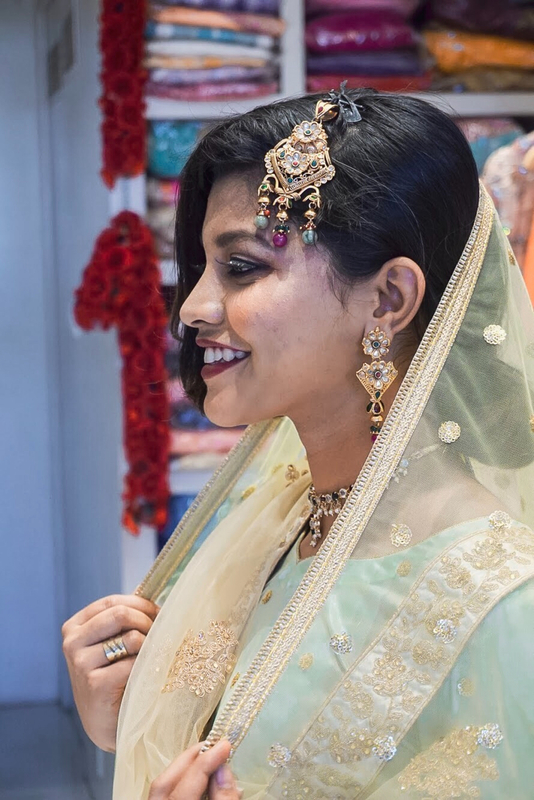 We paired two different duppattas to the look from Rajkumari Fashions. 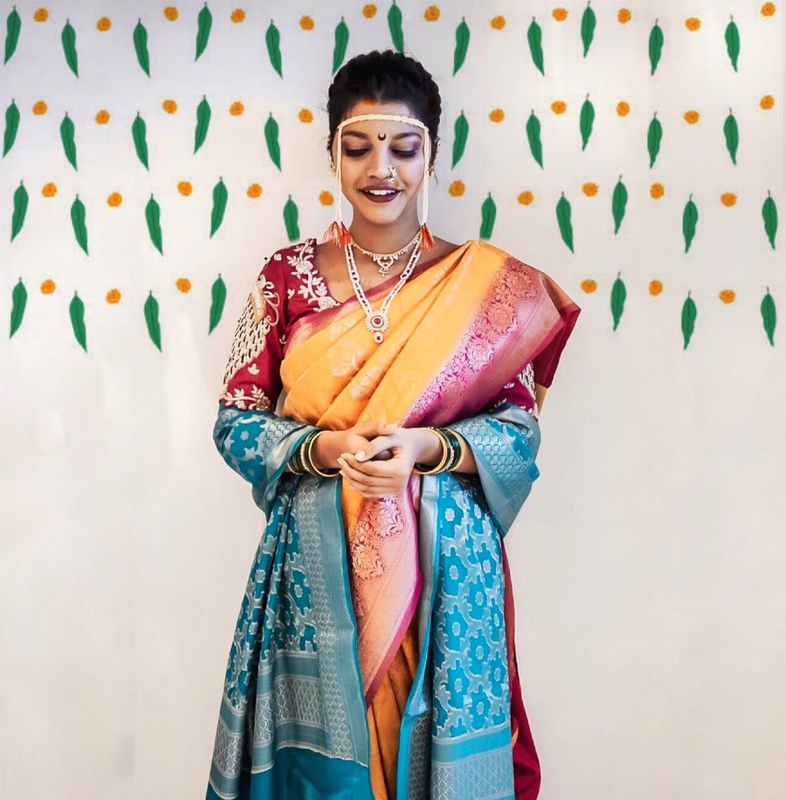 One golden net with a wide border around the neck and another a slimmer seamed mint duppatta on the crown. The accessories should not steal the outfit%u2019s look and yet be statement. 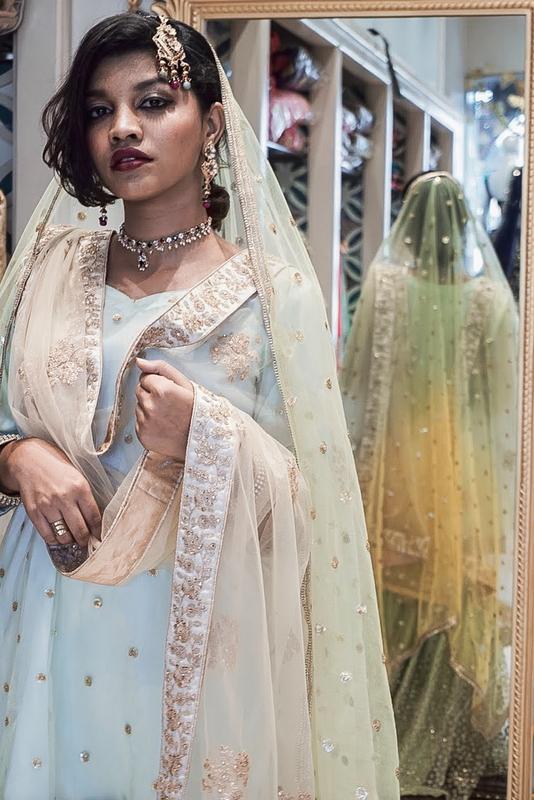 We added the traditional Passa in a darker maroon and green shade gems studded in gold. Similar patterned drooping earrings and a small choker neckpiece. Along with heavy gold bangels and finger rings to finish the look. Dude to shorter hair, I could not resort to having long open locks but something that would look graceful yet needed no wigs. We parted my hair on one side and tied the rest behind. With the passa on the other side, it balanced the look. The eye makeup was a mix of mint and dusty gold, a strong bold winged liner and maroon lips. The face was sculpted by firm contouring and shimmer brown for the blush along with a strong in the eye highlight. All Dhanashri doing. That is all for this look! I shall see you all in a couple of days for the final one. Until then stay glued on my Instagram for more pictures and insights.